Price Advice Should I take $1075 for my '11 MacBook Pro? Discussion in 'Buying Tips and Advice' started by Jamesesesesess, May 29, 2012. I'm selling my early 2011 base 15" MacBook Pro (2GHz i7, 4GB RAM, 500GB HDD) on Craigslist right now so I can get rid of it before the redesign is out (I know it's all speculation but it's a risk that I'm willing to take). I was asking $1,200 because it has a few heavy-ish dents/scratches on the lid, but otherwise it's in great condition. After sifting through all of the spam and scam emails, I got a few legit buyers. However, I listed it in 2 different areas because I live in one state and my dad lives in the other (I'll be there for the first week this summer). This person that is offering $1,075, I originally was going to say no to. But I realized that they replied to the listing that's in my area (the other listing was listed in Minneapolis, so I expected most/all messages to be from there). So I asked them which area they were from, and they're not only in the same area as me, but they're in the same town as me. Now I live in a small town, so that's pretty damn convenient. We could meet at a cafe a mile from where I live today and be done with it. However, that's still $125 less than I wanted, but her justification was legitimate (that new MacBooks will be out soon). But I also got a phone call yesterday from a man in the Minneapolis area and he was interested, and I'm assuming that he'd be offering the full $1,200. I still need to call him back, but I'm really feeling good about this offer from the woman in my town. So, say this guy is offering the full $1,200 for it and he's serious. Do I sell it to the girl in my town, a lot easier, but miss out on $125, or do I sell it to the guy in Minnesota? Note that he's an hour from my dad's so we would need to meet up with him probably when I'm on my way down there. Meet face-to-face with the girl from your town. That way you're sure not to get scammed, and that she knows of the MBP's condition, so she won't want her money back because it didn't look like the one in the pictures. I'm assuming you're talking about the 15"? 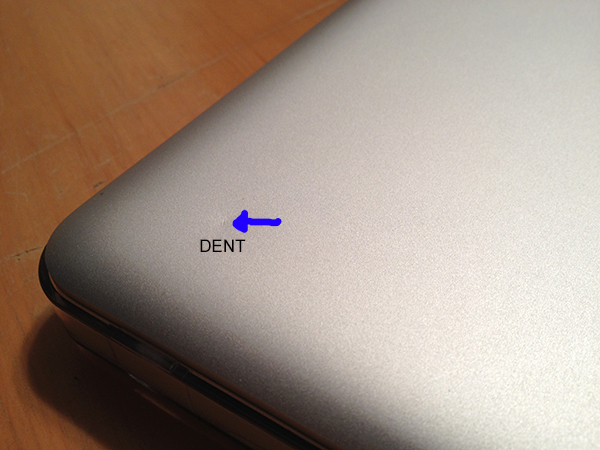 A dented 13" wouldn't go for that much to the best of my knowledge. Being you can get a refurbished 15" early 2011 quad 2.0 for $1369 with a one year warranty and no dents. I would be surprised you could get over $1k. 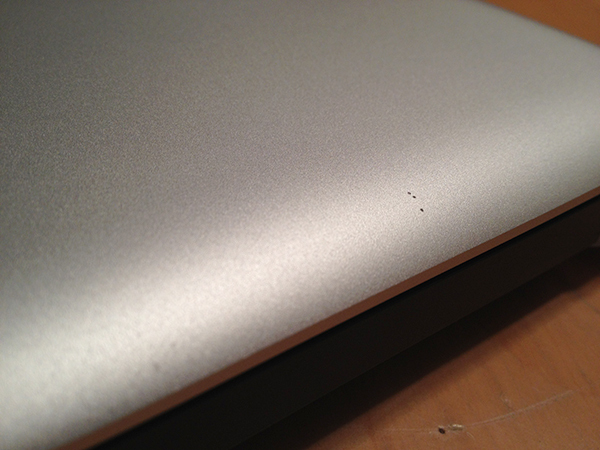 $1200 for a dented, scratched, used MBP that sells for like new $1369, they are fools. I was able to get the girl up to $1,100, so I'm pretty happy with that. Would've liked the full $1,200 but I just want to get it off my hands so I can be ready for the new redesign. Besides, if I'd have put it on eBay, they would've taken about $80 anyway, plus I would've had to pay shipping, so it's not like I'm losing much. Right, we'd be meeting at a cafe. I pictured the flaws in the listing so they know what it looks like, but I'd make sure she's satisfied anyway. And imo I would rather buy a once new, mint condition MacBook Pro for $1,369 than a refurb for the same price. That's in great condition!!!! Lol what are you worried about it's pretty perfect other than three very small spots. Really? Gah >.< I hope I wasn't going too low... well judging from people's offers, I must not have been... idk. Well a few hundred dollars doesn't make much of a difference to me anyway, I've got over a thousand saved up. Hope it went well, I'd consider that a good deal. Nah don't worry about it, you're happy and that's all that matters. Hope everything went smooth! Well we met up yesterday and she gave me a check for $1100. You accepted a check from a stranger? I hope it goes through. Seeing as he has 11 $100 bills in his hand, I think it's OK. Being you can get a refurbished 15" early 2011 quad 2.0 for $1369 with a one year warranty and no dents. I would be surprised you could get over $1k. Not exactly. Anything you purchase from a supplier is going to be taxed, bumping the price up about another $80 (at least here in MA, tax is higher in some states...) so you'd be paying really around $1450. Many/most people don't consider the warranty anyway when purchasing used, and minor dents bring down a price, but not from $1450 to $1,000. That's more than a bit silly; who's going to knock off 30% of a price just because a notebook has a little wear and tear on its casing? 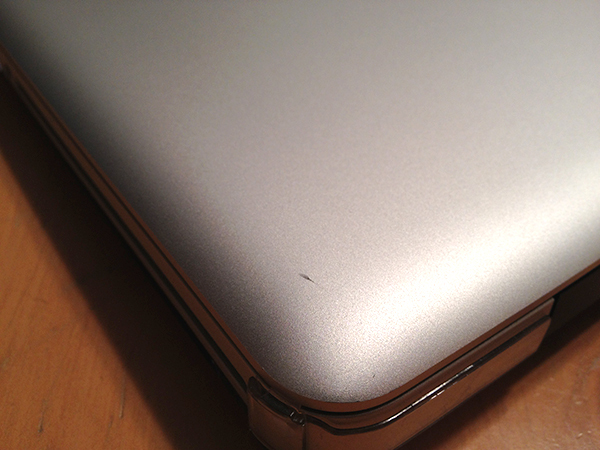 $1200 for a dented, scratched, used MBP that sells for like new $1369, they are fools. Um, or maybe they're more interested in the practicality and cost rather than.. the appearance of the tools they use. Anyway, I'd say $1,100 is fine, it cuts a lot of the hassle out of the deal for you, and $100 presumably isn't going to sink you. I was shocked to see how low the prices on ebay were; I actually just bought a 2.0 GHz Quad with a high-res matte/antiglare display for my girlfriend for only $1,125 w/o any scratches or anything; I sort of still can't believe it. In the past, Apple products never lost their resell value this quickly, even on eBay; it's not like the current-gen or even next-gen MBPs is much of a leap, as THIS was the big step up to Quad Core. And given the 1680x1050 matte (she's a film/graphic design student who likes the outdoors) was an extra $150 onto the BTO, I was even more surprised to get it this cheap. Checks can bounce. Can be a fake. You've never sold anything on craigslist before have you? Sell to the girl. Your time and gas and effort are worth more than the difference to drive to Minneapolis I would hope. Meet in a public place and take cash. Well we met up yesterday and she gave me a check for $1100. It all went good! pessimist in me says this is what happened. optimist says you crazy for thinking someone would be dishonest. pessimist is winning. Trust me, she's legit lol. We've been texting a lot over the past two weeks. She showed me some examples of her work on her website. She said that she had to give me a check because she was having issues getting the cash from her Pittsburg based bank account (she's from Pitts but her family has a cabin up here where they go in the summer). Great deal! Grats on that, I can't believe they're going this low either. Wouldn't it be awful for us sellers if we didn't even get a MacBook refresh tomorrow? Seems even sketchier I hope you get your money. Wow. This just keeps getting better and better! Lol, kay. Sad that you can't believe that there are honest people out there. I'll take my own personal judgement over someone on the internet.